Yacht Charter in Malaysia is expanding, affordable and a wonderful way for sailors to discover Malaysia’s island and extensive coastline. There are are a growing number of marinas and yacht clubs throughout Malaysia offering everything Yacht Charter crews might need. Over the last few years the area has become an established sailing destination with events like the annual Royal Langkawi International Regatta. The Langkawi group in the South of Thailand with more than 90 islands offers great sailing and plenty of protected anchorages. The Yacht Charter base in Langkawi is a great place to start a sailing holiday as the waters of the Andaman Sea are superb and the sailing infrastructure is excellent. This resort island itself offers a lot of attractions for visitors. There are many islands near the island’s Eastern coast with safe anchorages and along the busier West Coast ports like Port Dickson, Port Klang, Lumut or Penang. You could cruise between the islands, enjoy beaches and lagoons – or sail North to the islands Ko Tarutao, then west to Ko Rawii, Ko Adang or Ko Butang beyond the Thai frontier. 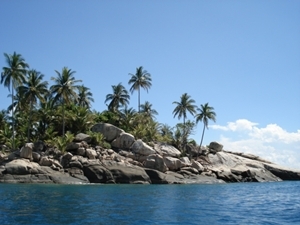 Butang is well known for being a paradise for snorkelling. From Langkawi we even offer one way charters to Phuket in Thailand – please ask for details. The Yacht Charter base in Tioman is located in the South East of Malaysia – the Tioman Sea Park Islands are often said to belong to the ten most beautiful islands in the world. They are volcanic islands, with lush green and dense vegetation. Fine white sandy beacheas, crystal waters, submarine fauna and flora are very interesting and invite to snorkel adventures. For Yacht Charter from Langkawi and Tioman we offer a fleet of monohulls and catamarans – more information on request!